I’ve watched enough movies and TV shows to know that the ability to hear everyone’s thoughts would be incredibly annoying and distracting to everyday life. I already have enough of my own thoughts going in and out of my head all day that I can’t imagine having other people’s thoughts bumbling around in my head, too. It would be enough to make one go insane pretty quickly. Most of the stories in the entertainment world who have characters who can read minds learn to be able to turn it on and off. I suppose that’s their coping mechanism to achieve peace. However annoying it would be to have other people thoughts in my head, would I actually use it? I’m pretty sure I would be unable to avoid it. Sure, I could start off by saying that I don’t want to hear other’s thoughts and that it’s not fair to them that their private thoughts are no longer private. In reality, there would be too many excuses to listen than to avoid. Without a doubt, there would be plenty of experiences where I would hear something that I wouldn’t want to hear. It’s like reading someone’s diary or email and finding out something you weren’t supposed to know. Lesson learned, eh? Perhaps after several instances such as these, I would want to completely block it, but I’m sure after a while there would be a situation where it would come in handy, and I would go back to it. Good examples of similar experiences can be found in those beloved sitcoms of the 60’s and 70’s, Bewitched and I Dream of Jeannie. The shows were both based on the female character having an ability that their male counterpart wanted them to forget and never use. Every episode involved some reason where the female character would break her promise and use her ability, anyway, usually to get the male counterpart out of trouble. As silly as those sitcoms were, I feel that they are pretty close to reality as far as what would happen if most people had a beneficial (at least in certain situations) super power. While mind reading or hearing other people’s thoughts is not high on my list of preferences, my superpower of choice would be teleportation. I feel like so much of my life is wasted in a car, in lines, waiting and so on. Wouldn’t it be nice to twinkle my nose and just be where I need to be. Ah, patience is a virtue, my friend! Alex wanted to build one of his many creations and required a hammer. Joey told me not to worry it would be done under his direct supervision. At this point Alex says Supervision, dude, you’ve been holding out on me. I want SUPER vision. What other superpowers do you have???? He was dead serious and didn’t even get why it was funny when I tried to explain it to him with the giggles. If you could choose one super power, what would it be? Would you use your super power for good or evil…or both? Since one of my journaling prompts last month was cooking, I almost changed today’s prompt because I didn’t think I would have much more to add. Good grief! To think that I actually considered that I wouldn’t have anything to say? I really had to think hard about the best meal I have ever cooked because nothing specific was coming to my mind. However, my mind kept going back to the biggest meal that I have ever prepared: Christmas Eve 2011. David and I bought our house the week after Christmas in 2010, so we had been in our house for almost a year. We decided to host Christmas Eve dinner for the first Christmas in our new home. While I didn’t cook everything for the meal that day, I did prepare a good portion of it for the 20 guests that we had that day. 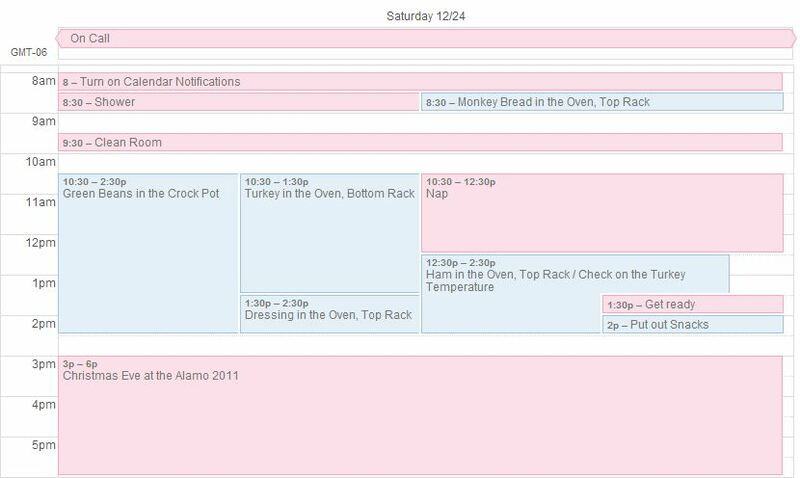 And because I am a super planner, I mapped everything out for the day in my Google Calendar to time everything to be cooked in time. I even worked in time to nap, shower and clean my room. 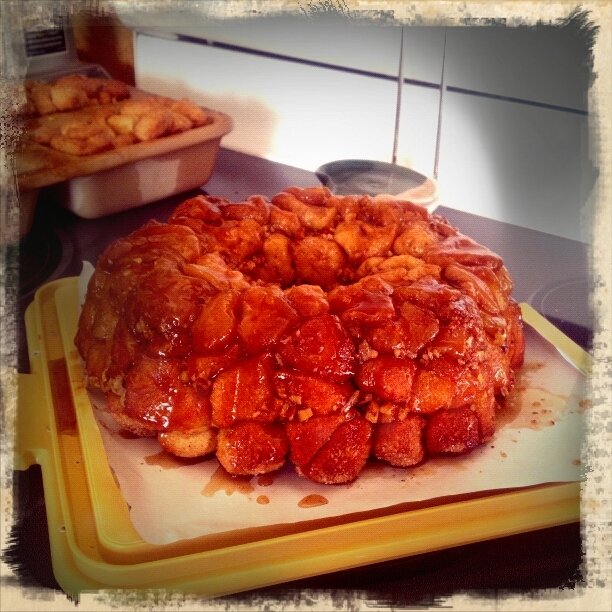 The items that I prepared was ham, turkey, dressing, monkey bread, green beans and snacks. It was stressful to get it all done, but I loved it! I loved preparing everything, planning it all out and hosting 20 of my friends and family in my home. It was perfect! My parents recently remodeled their house and want to host Christmas Eve at their house this year. I’m looking forward to the holiday again and while I wish I was hosting again this year, I’m glad that my parents have a nice home to share with us. Maybe I’ll see if we can alternate years. Do you have an awesome meal that you prepared? What’s your Christmas Eve tradition? Proof of my insane Christmas Eve planning. 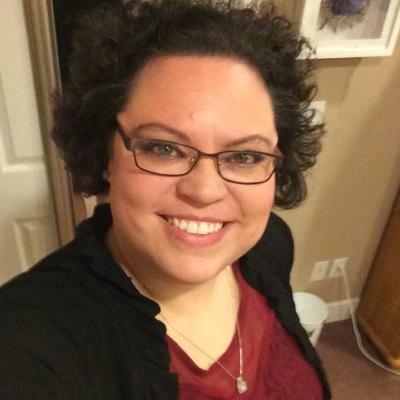 During the month of November, I am participating in the National Blog Posting Month, also known as NaBloPoMo, hosted by BlogHer. Most likely I am following these suggested prompts, but I might just get crazy and change things up every once in a while. I‘m one wild and crazy gal! I have a laptop. Well, actually I have 3 that I have regular access to. One is my work laptop, another is an old laptop that is still hanging in there, and my main laptop is an Alienware that I bought earlier this year when I was pretty sure that my old laptop was going to crash. Without a doubt, my favorite is the Alienware. Since it’s so large, it usually stays on my desk in the bonus room (aka The Treehouse*) upstairs connected to a second monitor because I have been spoiled by working with dual monitors for the past 5 years. Every once in a while the Alienware takes a trip downstairs to hang out with me in the living room, but it rarely leaves the house. I’m not one to take my laptop to Starbucks or Panera or . I’m a home body. With that said, I’m usually blogging upstairs while my husband is playing Xbox a few feet away. More importantly than where my favorite place to blog is located, is when my favorite time to blog is. Usually I end up blogging in the evenings after dinner because that’s when I have the most available time. However, in the rare instances where I got up early and had time before work, is when my best writing seems to come out. I am NOT a morning person, so it actually comes to me by surprise that I can write well in the mornings. However, as the hour gets later in the evening, the less likely I want to write or write anything interesting. Though, I have to admit that I am writing this right now in the evening. Maybe I shouldn’t have admitted to that so not to appear boring! It’s really late at night where my writing lacks a certain oomph that makes me feel accomplished. I will also admit to writing out blogs in advance, especially the last two months when I have made a commitment to write daily, because I don’t want to get behind. It came in handy last month when there was a death in the family, and I didn’t have to stress to get my entries written. Since we’ll be traveling for Thanksgiving later this month, I’m hoping to stay ahead to be prepared for that, as well. *The Treehouse is what we call our bonus room. It’s a term that my aunt coined when we first bought our house. The Treehouse started out being where my husband spent most of his free time, and it was set up sort of like a man cave. However, my aunt felt that it wasn’t really a man cave since it’s upstairs. Since I work from home on Fridays, we ended up putting a desk upstairs, so now I hang out in the Treehouse some evenings, too. When and where do you prefer blogging? Are you one to write from home or gather your creativity in the library or restaurants? On Sundays, I participate in Sunday Scribblings, a weekly writing prompt challenge. There are no rules within the challenge, however I am imposing the same rules that I follow for Five Minute Friday: Write for five minutes. No editing, revising, or over thinking. Just write. I was a fairly normal child, I suppose, when it came to playing in the sand, the dirt, the mud. My dad built me a sandbox just outside my play house, and I loved to play in there. I’d sit on the squared edges and build roads for my cars, including tunnels and hills. It took a little bit of water and mud to form them, and I didn’t mind getting dirty. In fact, I could get downright filthy playing outside. My mom’s friend has a daughter a few years younger than me, and she had a sandbox built underneath her raised play house that we would play in, as well. My mom would often point out that Katy could play in the sandbox and come out clean as if she had never been playing in it, and that the dirt and sand must have all stuck to me instead of her. It would even be in my shoes and hair. Want to know something? I liked the feeling of it in my hair. Weird, huh? I like scratching it out of my scalp later on. I’m sure my mom didn’t think so highly of it in my hair when she was washing it out, but what did I know as a kid, other than the fact that it brought me simple joy? Read other Sunday Scribblings posts on the topic of ‘Mud’. Despite being quite a talkative person (and a loud one at that), there are times when I relish the quiet. Usually in the mornings I’m not quick to turn on the tv or even talk for a while. Also in the evenings after work, David and I might watch a tv show or two during/after dinner, but there are plenty of days where I just want quiet. I’ll turn the TV off and read. Also, I absolutely despise talking on the phone these days unless I am in the car when there is nothing else to do. I’m pretty sure it comes from working in my previous call center jobs where I had to talk on the phone ALL DAY for 8 hours (or more) a day. Before 2006 when I got my first call center job, I loved talking on the phone! Now that I am not in a call center job, I still hate talking on the phone, but there is still a big portion of my day that involves talking, even if it’s not the full 8 hours a day. I live by the rule that I prefer texts or emails unless it’s an emergency or you absolutely cannot text or email (such as driving). I may or may not be guilty of not answering the phone just because I don’t want to talk. 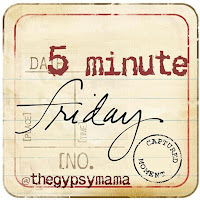 Read other Five Minute Friday posts on the topic of ‘Quiet’.